Brief Description: Removes chlorine and chloramines instantly. 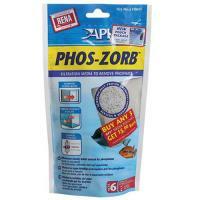 Detoxifies heavy metals, and contains Aloe Vera to protect and heal fish. 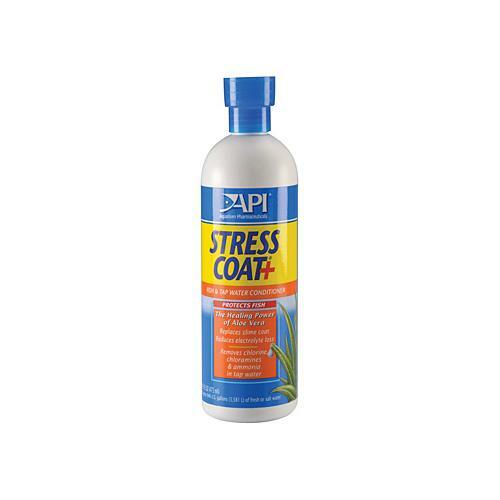 Notify me when "Stress Coat [473 mL]" is re-stocked. Forms a synthetic slime coating on the skin of fish, replacing the natural secretion of slime that is lost during netting, handling, shipping, fighting and other forms of stress. 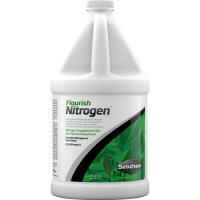 A patented water conditioner suitable for fresh and salt water aquariums, water gardens and ponds. 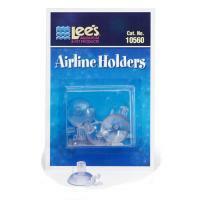 Contains Aloe Vera, which acts as a liquid bandage, to protect and heal damaged fish tissue. 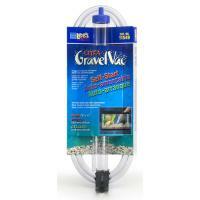 Instantly removes chlorine and heavy metals such as copper and zinc from tap water. 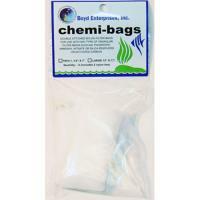 Also removes chloramines by breaking the chlorine-ammonia bond. Stress Coat can be used with freshwater tropical fish, marine fish, invertebrates and coldwater species including koi and goldfish. Will not harm aquatic plants. 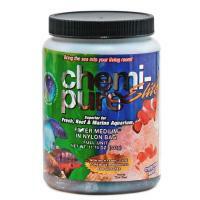 May cause foaming in marine aquariums using a protein skimmer. Will not interfere with water test kits.